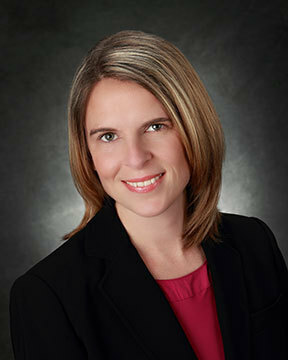 Amy Hassen, PT, DPT, OCS, MTC, is a clinical assistant professor in the Division of Physical Therapy. Her certifications include Board Certification in Orthopaedics from the American Physical Therapy Association (2011), Manual Therapy Certification from the University of St. Augustine (2007) and Certified Clinical Instructor from the American Physical Therapy Association (2007). Her research interests include Orthopaedic Manual Therapy, Clinical Imaging, and the use of technology in education. Her membership and service in professional organization includes the American Physical Therapy Association (Orthopaedic, Sports, Research and Education Section Member), APTA Education Section Academic Faculty Special Interest Group secretary, CSM Education section proposal reviewer, and International Journal of Sports Physical Therapy reviewer. In addition, Dr. Hassen was named Outstanding Employee by Touro University Nevada in 2011. Dr. Hassen is married and has two sons, ages 6 and 4. She enjoys running and yoga, and loves the sunshine and being outdoors.